I always love this time of the year because that gives me a chance to make my Garlic Cheese Grits recipe. Now don’t turn up your nose because you read the word “grits”. 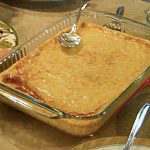 A true southern recipe that I really haven’t found anyone who doesn’t like. Well, except my next door neighbor. I will say, this is a recipe you have to stay with. You can’t start the grits and walk away. You have to constantly stir until its time to put the hot mixture into the casserole. 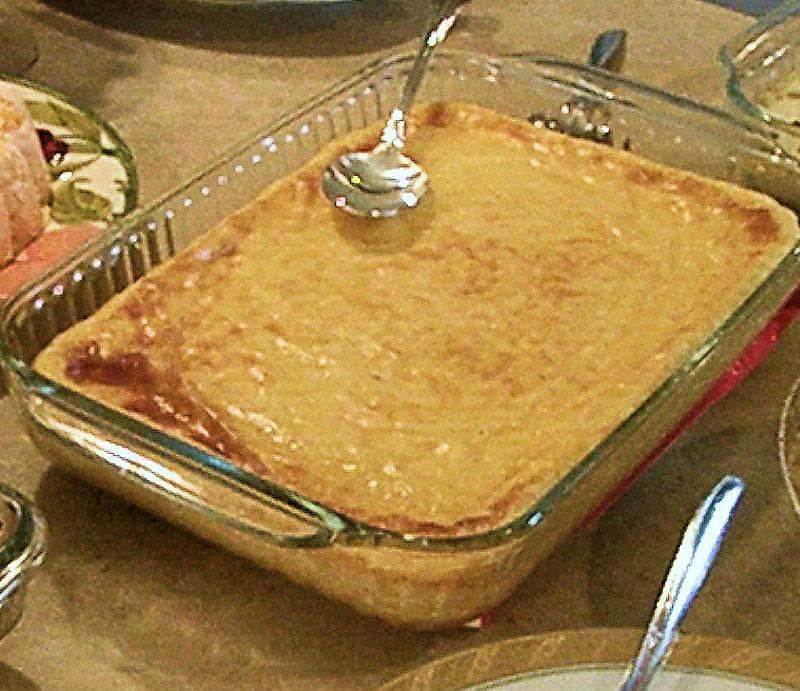 Another reason I make this recipe every year is that one year my dad called me, he didn’t make a habit of doing that (he would have my mom call) and asked if I was making grits. Well, how can you turn your daddy down? So, I always made them for him and will still hold true to the tradition even after his passing. Prepare grits according to package directions. Don't stop stirring while the grits thicken. Melt cheese and butter in hot grits. In a small bowl, beat eggs, garlic and milk. Add a little of the hot grits to the milk mixture to keep the eggs from scrambling, then slowly pour milk mixture in with the grits. Pour into a greased 9 x 13 casserole dish and bake at 300 degrees for 40 minutes. I have also added browned sausage in this too for a breakfast casserole. YUMMY! I have never fully understood grits and every time I tried to make it and give it a great taste…it always failed me:( And of course, I have always made it plain just according to the instructions on the package…..This one with the cheese and the other ingredients seem like it has a good taste. I may even try it out for hubby! Thanks for sharing! While cooking grits, you have to stir constantly or they won’t come out good and I much prefer to eat them with the garlic and cheese. Now my hubby likes them plain with eggs in the morning. Thanks for stopping by. Interesting. I’ve never tried grits like this, but anything with cheese over it should be delicious! As a Southerner, this recipe sounds delish! I can’t wait to try it your way and see how yummy it turns out. Thanks for sharing it! I’m a true northerner and have never tried grits–and I don’t like oatmeal or porridge (something with the consistency.) But if anything can make it good, sausage and cheese can! I love cheesey grits with shrimp. But I never had the right recipe. Until now! I can’t wait to try using your recipe. I can’t wait! Love your site! This Garlic Cheese Grits are definitely worth a try. They are so simple, delicious and fast to cook!